The levels of employment are from various sources, there are elements of overlap and the estimates are not additive, the Ministry said. If the employees’ provident fund figures show 47 lakh new jobs were created between September 2017 and June 2018, over 23 lakh jobs were lost in the 10-month period, going by the employees’ state insurance figures. The number of existing employees contributing for insurance cover under the Employees’ State Insurance Corporation (ESIC) fell by 23.43 lakh in the period from 2,95,34,395 in September 2017 to 2,71,91,147 in June 2018, the Ministry of Statistics and Programme Implementation (MoSPI) said on Friday. The Ministry released “Payroll Reporting in India” study for June 2018, giving an employment perspective based on the number of beneficiaries for three major schemes – Employees’ Provident Fund Organisation (EPFO), ESIC and National Pension Scheme (NPS). As per the retirement fund EPFO’s payroll data, the total number of EPF subscribers went up by 47.13 lakh during the 10-month period till June. And, the total number of new NPS subscribers for the period is 6.10 lakh, the Ministry’s report said. As per the report, EPF is applicable to establishments having more than 20 workers drawing up to Rs 15,000 per month with some exceptions and ESIC is for setups having more than 10 workers with monthly wage ceiling of Rs 21,000. The Ministry has clarified that the number of members subscribing to the schemes merely gives an idea of the level of employment in the formal sector and that there is a need for better method of employment estimation. “The present report gives different perspectives on the levels of employment in the formal sector and does not measure employment at a holistic level,” the Ministry said as it invited suggestions for improving content, coverage and presentation. However, Prime Minister Narendra Modi, in an email interview with The Times of India published on August 12, used the EPFO data to counter the opposition claims on rising unemployment, saying more than 70 lakh jobs were created in the formal sector in the last one year. 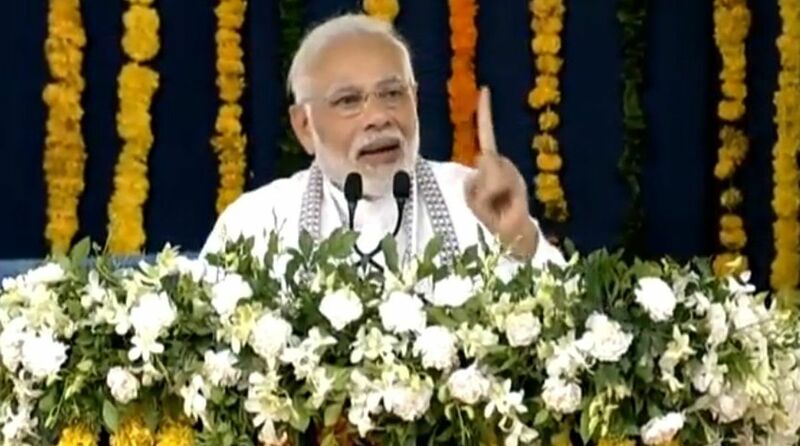 “According to our study based on the EPFO data, more than 70 lakh jobs were created in the formal sector alone last year… I believe the shortcoming lies in the absence or lack of a streamlined database of jobs,” Modi said. He also said more than 45 lakh formal jobs were created between September 2017 and April 2018.